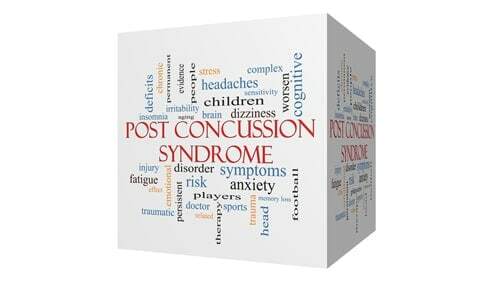 How Can Rosenfeld Injury Lawyers LLC Help Me Pursue A Brain Injury Claim? Rosenfeld Injury Lawyers LLC can help you pursue brain injury compensation by providing all of the 1) preparation 2) resources 3) access and 4) and commitment that your lawsuit needs. Here Is What Our Team Will Pledge To You! But Can't I Try The Case Myself? Call Our Offices To Start Your Case Today! PLAN: A roadmap for every step of the case. INVESTMENT: All resources necessary to protect and maximize your recovery. COMMUNICATION: Access to lawyers 24-7 so you are informed and empowered. DEDICATION: No conflicts of interest; we will not represent wrongdoers of similar accidents. Of course, you are always allowed to try your own personal injury case in Illinois. However, for a number of reasons, we strongly advise against that with brain injury lawsuits. Why do we not recommend this? Well, presumably you will be under a lot of stress during your rehabilitation. This is a critical time for your health and you will have a number of responsibilities in regards to improving your medical condition. Also, you ostensibly do not have any experience researching Illinois law and statutes to build a case for compensation. This is a lengthy and complicated process. Outside of the time it takes (which you probably don't have), it takes skill which normally only comes with experience. Finally, there are a number of commitments you must make to the court and other side in order to successfully pursue your recovery. As you can see, these obligations (and the many more we did not mention) beg the need for a qualified legal team. Experienced lawyers can build the communications, research, and trial departments that your suit requires. It will save you time, money, and energy so that you can put 100% of your focus on getting better. You can take comfort in the fact that our attorneys have assisted individuals and families recover the financial compensation they are entitled to following an incident involving a traumatic brain injury. We invite you to speak to our office for a free case review to discuss your legal options for a personal injury or medical negligence case involving brain trauma. See if our office is a good fit for you. As with all of our injury cases, we only receive a fee when there is a recovery for you. Do I Have Grounds To Pursue A Brain Injury Case? How Long Do I Have To File A Lawsuit Against The Party Who Caused My Brain Injury? What Are Brain Injuries And How Frequently Do They Occur? What Are Some Examples Of Financial Recoveries People Have Had With Brain Trauma? What Are The Most Common Symptoms Of A Brain Injury After An Accident? What Laws Were Established To Help People With A Brain Injury Sustained In An Accident? What Type Of Financial Compensation Can I Recover For A Brain Injury Caused By The Negligence Of Another?